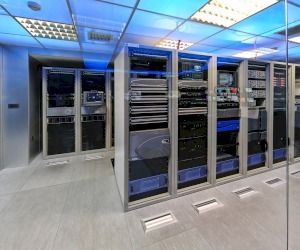 CRETE TV upgraded all of its equipment in order to operates in a completely digital and automated environment. 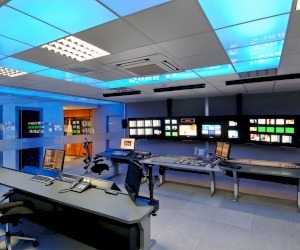 The new installation now includes 2 production studios, 1 news studio and 2 control rooms with the option to operate any studio from any control room. 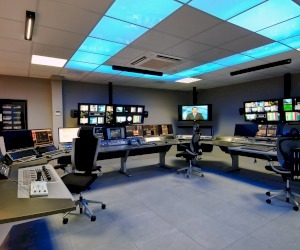 DXC-D55 (SONY) studio cameras, DVS-9000 (SONY) vision mixer with 3,5ΜΕ and 2 control panels, 96×64 XENON router (EVERTZ), QMC (EVERTZ) master control switcher, MVP (56in-12out) multiviewer by EVERTZ, EVERTZ SPG and Logo generator, news editing and playout by QUANTEL, continuity server by QUANTEL, production server and editing by EDITSHARE and APPLE, CRYSTAL VISION interfaces and SONY’s XDCAM (PDW510 & 530) ENG cameras.